On Christmas Eve, I headed out with this wonderful couple for a drive around Lancashire (near Clitheroe) to find a good spot for their engagement photos. It was surprisingly mild considering it was December (and up North!) - I had been hoping for some snow, but I'll have to keep waiting! 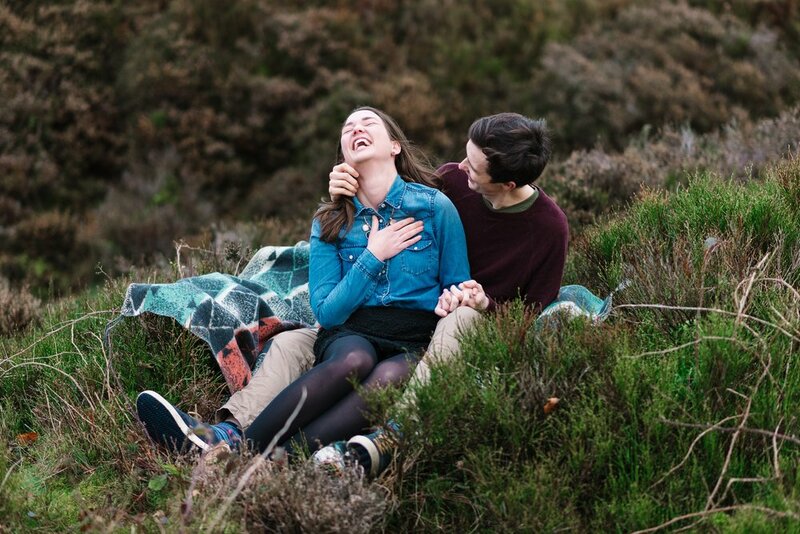 These two are getting married in May, and I can't wait to photograph it. Carmen is an energetic, beautiful Dutch/Canadian who brings out the best in Philip - together they are crazy, exciting and hilarious!